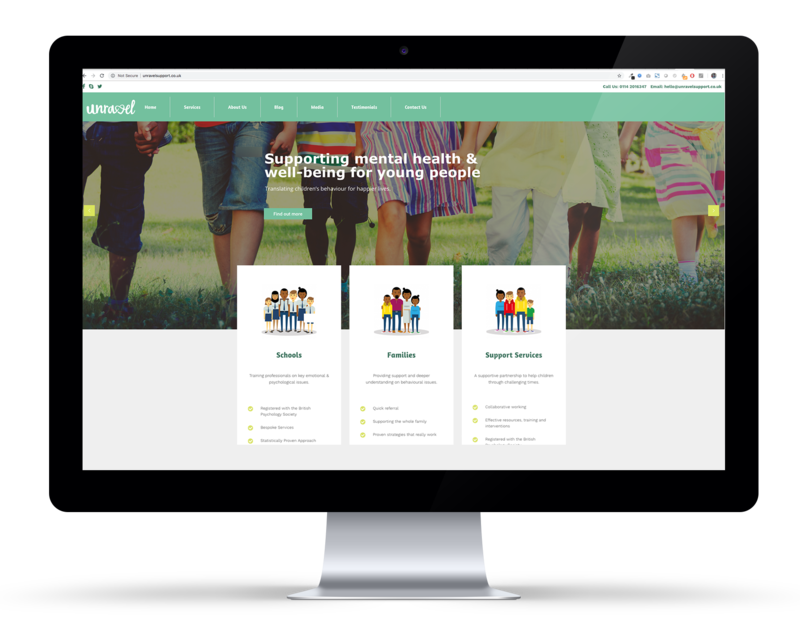 Unravel is a well respected, successful child-psychology service, operating privately and within schools and other young people's establishments. The aim of the project was to create a brand new logo. It needed to portray their brand and accurately reflect the feel of their company. It was important the sensitive nature of the business was conveyed in the logo in a short space of time. We kicked off the project with a marketing workshop to identify the key services and target audience of Unravel. The output formed a basis for us to develop a new brand & website. 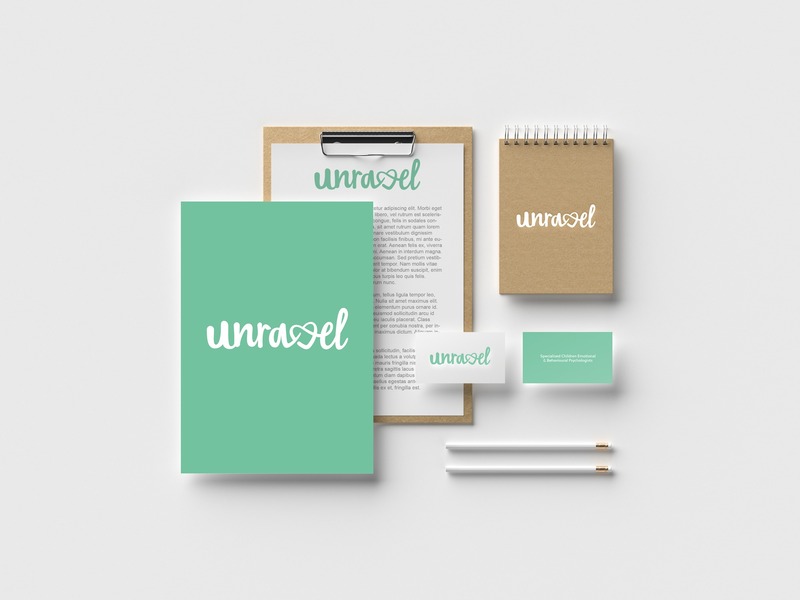 We created branding that shows Unravel's caring and approachable nature to the valuable work they do. The letters are joined together as one with the “V” being a knot in the chain, a metaphor for a problem a child/parent may have. The knot, also a heart shape, shows the love and care that is given to the “knots” in child mental development and how they can be “unravel”-ed to flow freely and continue their mental development. A clean child-like font was used to give the brand a more modern and professional look. The child-friendly green colour was used to express positive psychological traits which relates back to the significant emotional element of what the business does. "I love how Switchstance incorporated all the things Unravel is trying to be into the logo. It brought tears to my eyes!"